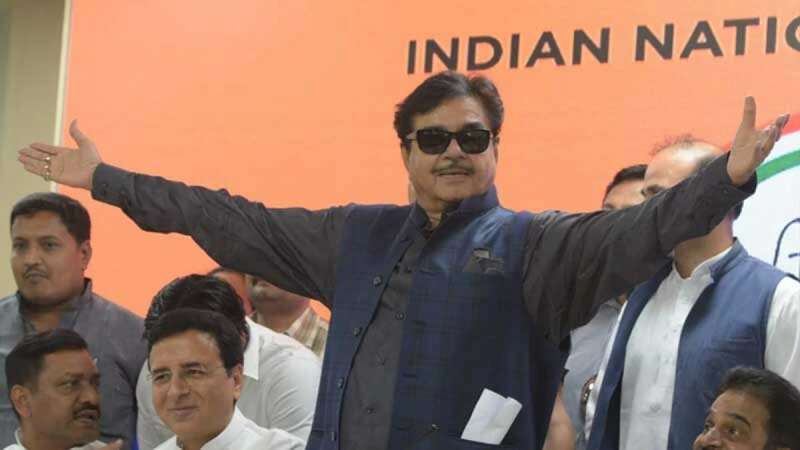 New Delhi : Lok Sabha MP Shatrughan Sinha officially joined the Congress Party on Saturday at a function in New Delhi in presence of senior party leaders KC Venugopal and spokesperson Randeep Surjewala. Speaking about Prime Minister Narendra Modi, he said, earlier he used to call him 'dashing and dynamic' but now, Rahul Gandhi is the "face of the nation and need of the future." He also cleared that he will be contesting in the Lok Sabha Polls from the Patna Sahib constituency, not from Patliputra. The decision comes days after Shatrughan Sinha held a meeting with Congress President Rahul Gandhi at his residence in New Delhi on March 29.